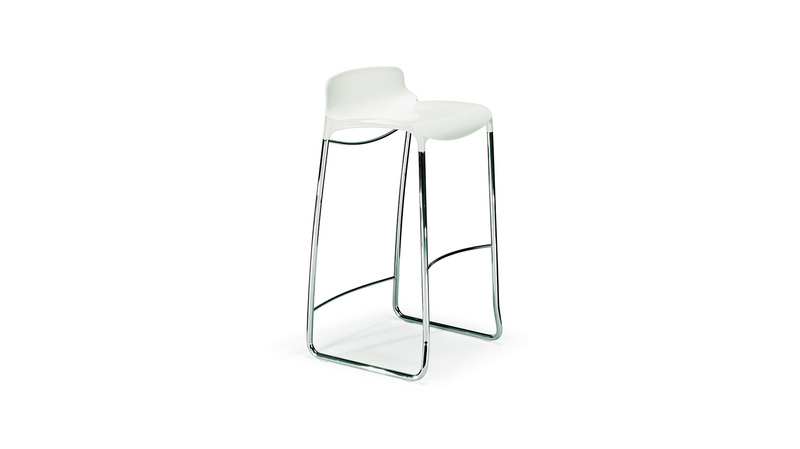 The seamless molded shape of the Tiffany barstool seat contrasted against the chrome sled base make it a true work of art. Available in multiple color options to match any setting. Not suitable for outdoor use.